The Tiffany is one of the classic condominiums located in the village of Bal Harbour, an eighteen story building found near the sun-kissed Bal Harbour Beach. Much like the rest of the buildings in the area, this condo provides great eastern vistas of the Atlantic Ocean from its one, two, three and four bedroom units in addition to several complementary amenities that uphold the high standards of living in the affluent city of Bal Harbour. The beach functions as the backyard of the Tiffany condo so you can always grab a beach towel from your spacious walk-in closet and sunbathe without having to be very far from home. If the beach doesn't sound appealing you can still work on your suntan at the pool and spa. The fitness center and media room round out a wonderful collection of amenities. The 135 Bal Harbour condos for sale of Tiffany have 1,957 to 3,943 square feet of living area and plenty of modern features that include but are not limited to generously sized balconies. Are you the type of person who likes to stay on top of the latest fashion trends? Look no further than the Bal Harbour Shops near Tiffany, where you can shop in boutiques by names like Versace and many more. More great shopping and excitement can be found in Lincoln Road and Ocean Drive to the south of Tiffany in Miami Beach. 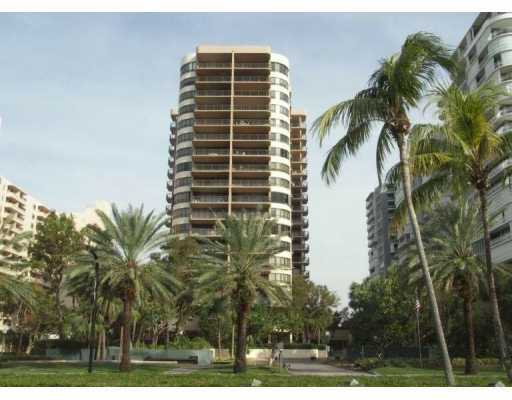 To the west is Miami or you can drive north and visit Sunny Isles Beach and Aventura.